Today Melynda from Mom's Sunday Cafe is stopping by with another fun, frugal craft project! I decided to start looking for a new (if possible) dark wood frame at the various thrift stores I visit. 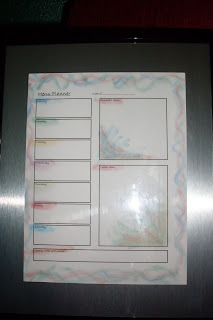 I wanted to make a simple dry wipe board to use as a groceries needed note pad. Yesterday I found a new document frame for 99 cents. 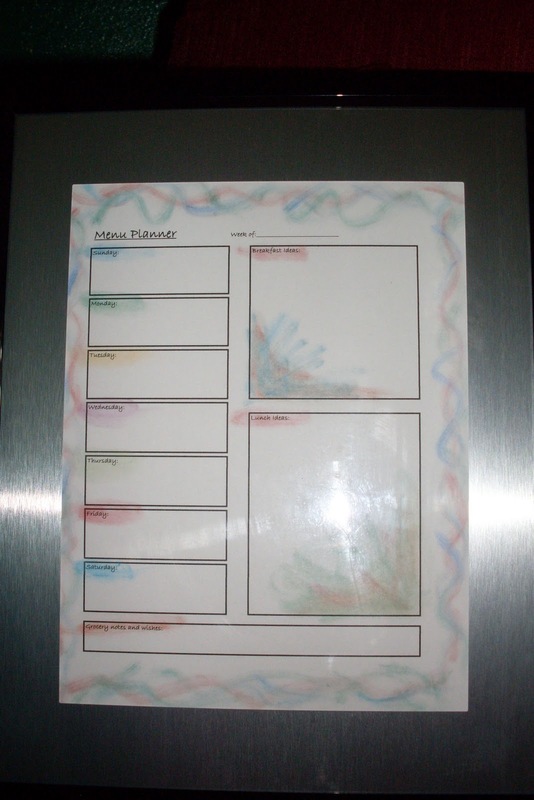 Document frames are perfect, they hold a sheet of 8.5X11 paper. I was now in business. Take the frame apart, and clean the inside glass. Add the printed sheet, replaced any filler cardboard and the cardboard backing. Now I was ready to attach the hanging bracket, and not looking forward to working with those tiny nails! Thanks for being here, Melynda! Be sure to check out Melynda's blog--any day or specifically for Cookbook Sundays! Really cute idea and I love the little poem/phrase. What a great idea! Never thought of writing on glass! Cool! This is a great idea. I just paid $15 for a board and I need another. I'm going to go the dollar store and pick up a frame and try this myself. I like how you can personalize them! Such a great idea and it can be made to match any decor like the way yours look too. Cost so much less than store bought ones.